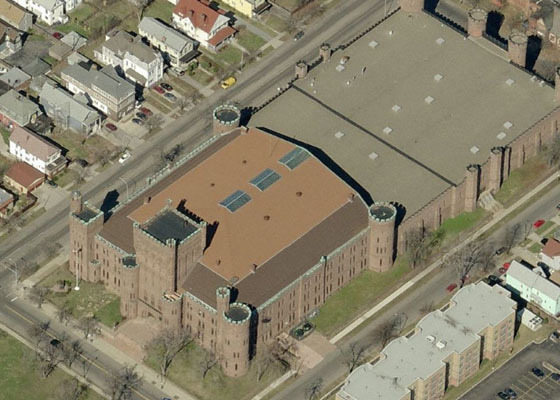 After years of leaks, the New York State Office of General Services awarded Grove Roofing the reroof of the main building of the Connecticut St Armory in Buffalo NY. The significant slope to the roof created safety & workmanship challenges which Grove Roofing successfully tackled. The facility is a large castle-like historic National Guard building made of Medina sandstone and completed in 1899.